Lucart Professional EcoNatural is committed to sustainable development, through innovative technologies aimed at the environment protection and quality life improvement. EcoNatural is the line of products made from Fibrepack, the raw material obtained from recycled cellulose fibres present in beverage cartons. 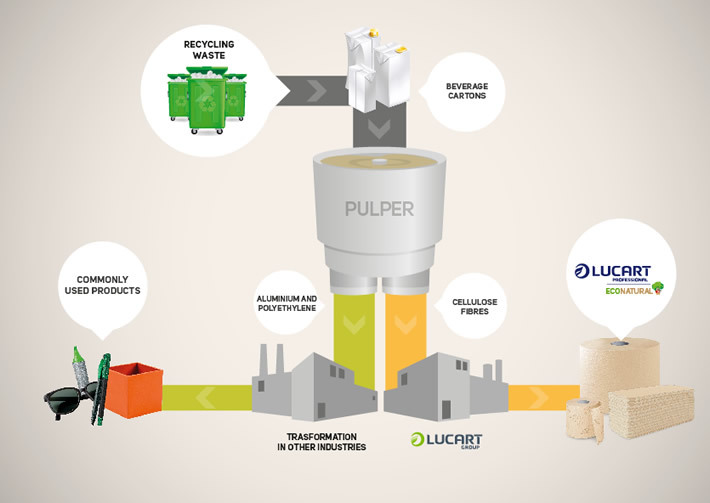 Fibrepack is an environmental and technological break-through which comes from a collaboration between Lucart Group and Tetra Pak. The production process separates cellulose fibres from polythylene and aluminium through physical-mechanical action without the use of harmful sustances for both man and the environment. Ecolab's European webinar series has covered several public health issues including Influenza, Norovirus and Washroom Cleanliness. During these webinars our experts have discussed how infections get transmitted and how you can help to minimise infectious disease risk within your own operation.